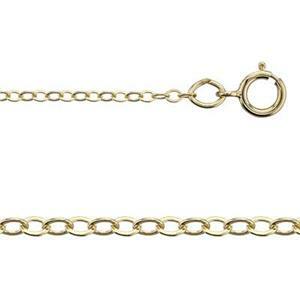 Layer on lovely looping lengths of luminous golden links with one of our most popular gold filled jewelry chains. The great price point and medium diameter make this style one of the must have jewelry supplies for your studio. Embellish with gold filled blanks, links or charms to make your jewelry making ideas come to life.